Critically acclaimed for “transporting the listeners to extraordinary heights” and “into a world beyond time and space,” pianist Craig Ketter is known for playing with powerhouse sonority combined with long-lined, dulcet lyricism. Mr. Ketter has performed as soloist with the Grant Park Symphony Orchestra, the North Carolina Symphony, the Sacramento Philharmonic, the Oakland East Bay Symphony, the Mobile Symphony, the South Orange Symphony, the Raleigh Symphony, the Garden State Philharmonic, the Durham Symphony, the Rocky Ridge Music Festival Orchestra, and the American Festival for the Arts Orchestra. His solo concerts have taken him to Mexico, Argentina, Barbados, France, Germany, Japan, and across the United States and Canada. Complementing his solo performances with collaborative ventures, Mr. Ketter regularly joins forces with international singers and chamber groups. Venues include NPR’s Performance Today series, CBS Sunday Morning, Sirius Satellite Radio, Carnegie Hall, Avery Fisher Hall, the Teatro Colon in Buenos Aires, La Huaca, Atlapa in Panama City, the Savannah Music Festival, Bay Chamber Concerts in Rockport, Maine, “Music in the Mountains” in Colorado, and The Marilyn Horne Foundation. Musicians he has collaborated with include flutist Eugenia Zukerman, clarinetists Stephen Williamson, Ricardo Morales and Jon Manasse, cellists Robert deMaine and Eric Bartlett, violinists Kelly Hall-Tompkins and Roy Malan, and singers Deborah Voigt, Margaret Jane Wray, Cynthia Lawrence, Samuel Ramey, Paul Plishka, Ben Heppner, Cliff Forbis, and Robert White. He has also performed with the esteemed actress Claire Bloom. Craig Ketter began piano studies at the age of seven, giving his first solo recital at the age of ten. Shortly thereafter, he began to win top prizes in numerous competitions including the Young Keyboard Artists Association International Piano Competition, the North Carolina Symphony Young Artists Competition, and the Kingsville International Piano Competition. He later won first prizes in the Bartok-Kabalevsky-Prokofiev International Piano Competition, the Richardson Awards National Piano Competition and the South Orange Symphony of New Jersey Young Artists Competition. He was also awarded the Saunderson Award at the Coleman Chamber Music Competition in Los Angeles, California with the Meliora Winds. Craig Ketter received his Bachelor’s and Master’s Degrees from the Eastman School of Music under the tutelage of Nelita True and Barry Snyder, where he also taught as Mr. Snyder’s assistant. He continued post-graduate studies with YohevedKaplinsky of the Juilliard School. Complementing his performing with teaching, Mr. Ketter has presented master classes throughout the United States and Argentina, and has served as a guest professor and adjudicator in several institutions and venues. 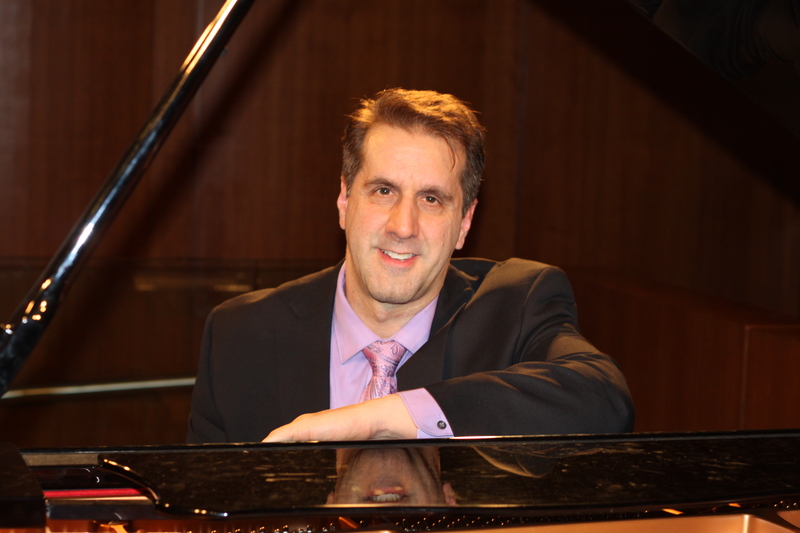 He has been a faculty member of the Rocky Ridge Music Festival in Colorado and has served as Chair of the Piano Faculty at the American Festival for the Arts in Houston, Texas. He is currently on the faculty of New Jersey City University. Mr. Ketter currently resides in the New York area with his wife, Canadian soprano Valerie Gonzalez, and his two sons, Isaac and Daniel.